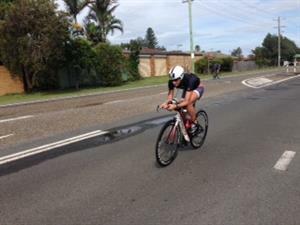 At 160km on the bike 2012 champion Ambrose is 2.50 ahead of Bell with Baldwin 5.55 back. According to our spotter Toby Coote Ambrose looks the best of the top three men. In 2012 Ambrose ran a 2:57 marathon to win IRONMAN Australia, in 2013 Bell ran a 2:53, those two look to be the form runners at the pointy end of the field. The 2015 title looks like it will come down to who has the freshest run legs. At 146km on the bike Marangon has extended her lead to 3.24 over Jess Fleming who is in second place, Bremer is now in third a further 15 seconds behind. 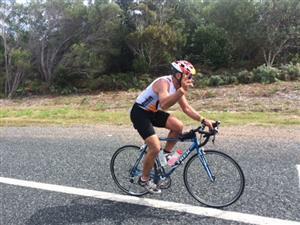 Dave Ross the only man in the field do have done every IRONMAN Australia is 60km into the bike leg. Ambrose is off the bike, and onto the run. 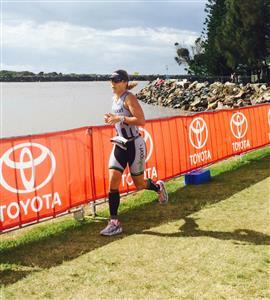 Marangon still leading at 170km, she's 3 minutes ahead of Fleming with Bremer 4.30 from the lead. Top three are on the run, Ambrose with a 6.49 lead over Bell with Baldwin in third over 9 minutes off the lead. Luke Bell in 2nd place looking comfortable. 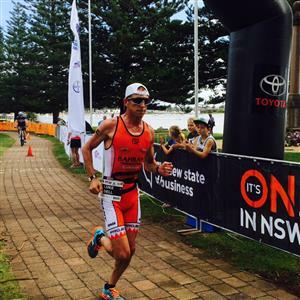 Ambrose is still leading at the 5km mark and according to our spotter Toby Coote is moving well. His lead is 7.20 to Bell in 2nd and Baldwin a further minute back in third. According to Coote Bell looks the most comfortable. After a tough day Robbo has just withdrawn from the race. 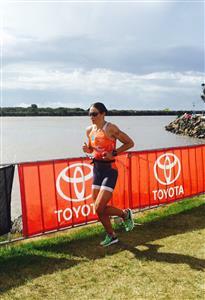 Marangon hits T2 in the lead, with Fleming in 2nd 2.36 behind and Sym in 3rd at 4.12. At the 9km mark Ambrose's lead was down from 7.22 over Bell to 6.50. The man on the move looks to be Fuller who has moved into 5th. 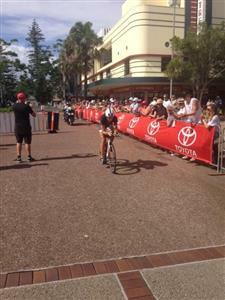 Jess Fleming has almost erased Marangon's lead, she's now 45 seconds behind just over 1km into the run. We have a change in the women's lead Jess Fleming is our new leader. Our spotter reports that and I quote "Lisa looks in a world of hurt." At 14km Ambrose is 6.50 ahead of Bell, Fuller is in third 10 mins off the lead. Christie Sym is now in second 35 seconds behind Fleming and Marangon in 3rd some 55 seconds back.